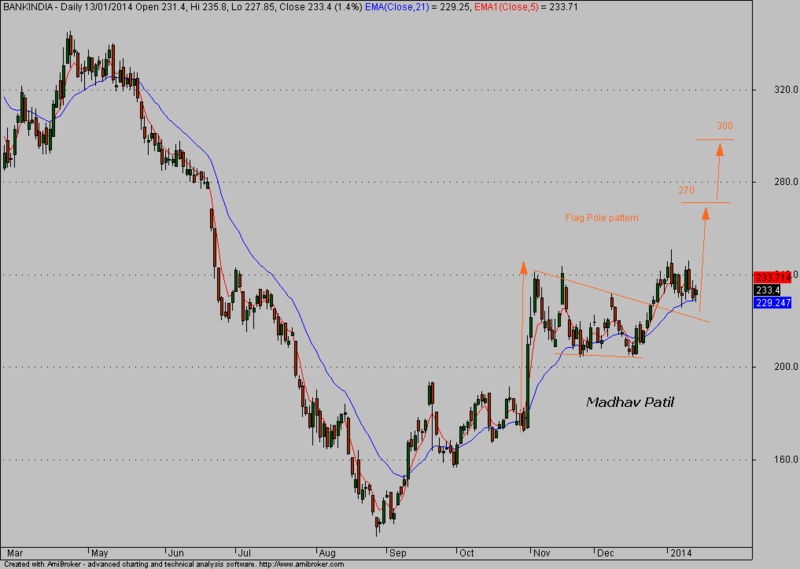 Normally target for this pattern is almost same as of the length of Pole ie 70 points which comes around 300 price. If we recalculate the targets for this pattern with help of fibo which I normally do then the first target is already achieved at 251 which almost equal to 38.2% of Pole. But price movement has still given us chance to enter around current levels ie 230 around. 2. Minimum target have been already achieved at 251 price range. 3. The lagging or ranged movement which I have circled does squeeze out the momentum which is required for target achievement. All in all one can enter at current levels for 15-30% gains, Stoploss can be kept below 204 or 220 depending on appetite of investors.